Bhakti Yoga is the path of personal, loving relationship with the Divine, a relationship that includes all the flavors and moods of the human heart. In the journey of Bhakti, our emotions serve as the fuel to reconnect us with the sacred and to help us locate healing and wholeness within. Enter an inner adventure of surrender and powerful emotion through a land with no maps, where our only guide is the distant call of the Divine, the source of love. 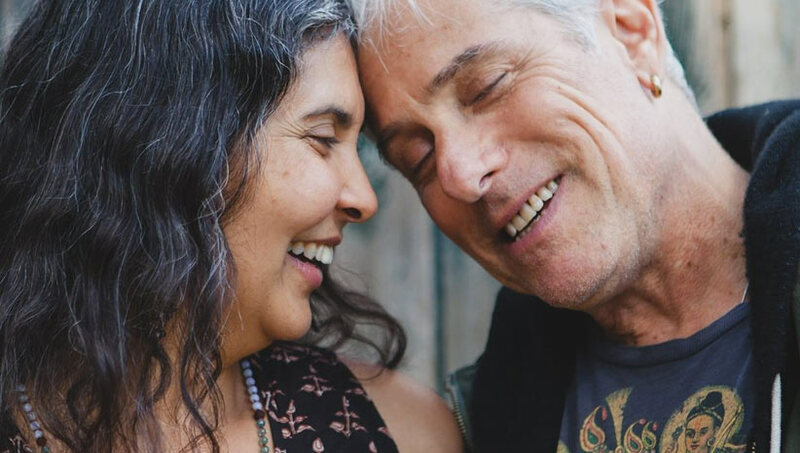 Join Jai Uttal and Nubia Teixeira, E-RYT 500, (with Daniel Paul) for a weekend of devotional exploration in Bhakti Yoga. Together, Jai and Nubia will guide you in a heart-opening adventure through breath, movement, and sacred sound. Look forward to a deep, playful blend of chanting and devotional yoga. • How the body, the heart, and the mind support and complement each other in our journey towards wholeness and devotion. This program is appropriate for all who are open to exploring their spirituality.